UNITED NATIONS, Feb 21 2017 (IPS) - South Sudan Monday became the first country to declare famine since 2012, as UNICEF warned that 1.4 million children are at risk of dying from starvation with famine also imminent in Nigeria, Somalia, and Yemen. “We can still save many lives. The severe malnutrition and looming famine are largely man-made,” said UNICEF Executive Director Anthony Lake. “Our common humanity demands faster action. 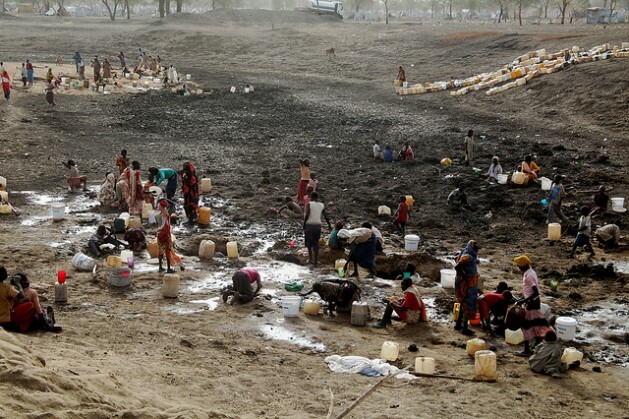 We must not repeat the tragedy of the 2011 famine in the Horn of Africa,” said Lake. "They’ve lost their livestock, even their farming tools. For months there has been a total reliance on whatever plants they can find and fish they can catch," -- FAO Representative in South Sudan Serge Tissot. “They’ve lost their livestock, even their farming tools. For months there has been a total reliance on whatever plants they can find and fish they can catch,” said Tissot.